We originally intended to stay in Quartzsite, AZ for the winter but found it very noisy with I10 running smack through town and very dusty with no grass about. We tried a night at 88 Palms RV Park but neither of us got any sleep due to the noise. 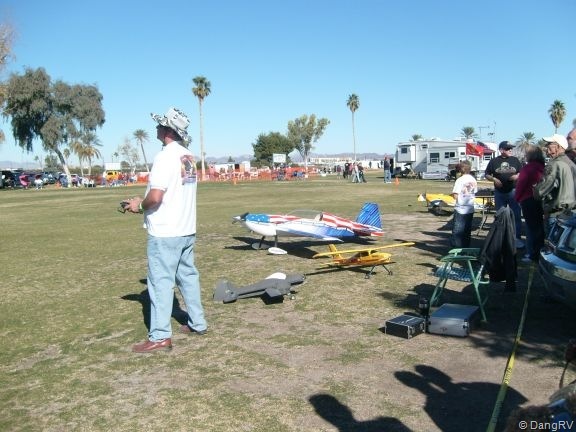 I was also not too crazy about the idea of the huge gridlock in January with the RV show and swap meet. Sooo we explored other options nearby just 22 miles away over the state line in California. 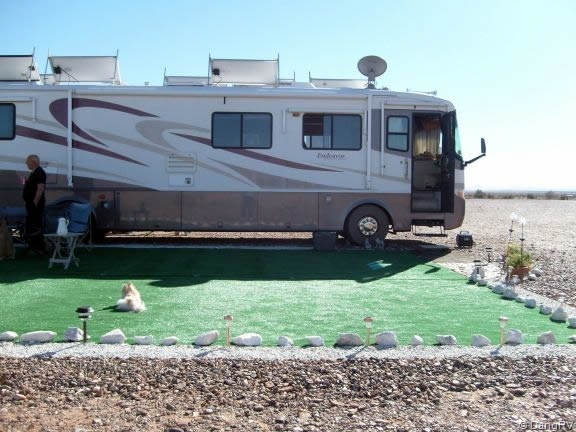 Thanks to RV Park Reviews, we dragged our tired selves and trailer into Mayflower County Park in Blythe, CA. I almost didn’t bother with it since they don’t have full hookups but we decided to take a chance for the night at least and found they have free honey wagon service 3 days a week in the winter. 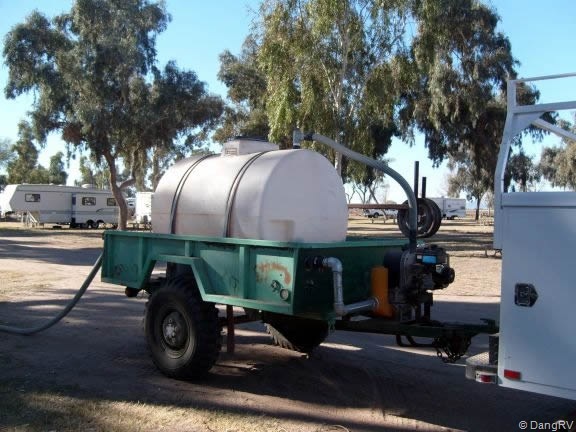 For you newbies out there, a honey wagon is a trailer or vehicle with a tank and a pump to pump out from your holding tanks to itself to haul your sewage to the dump for you. They usually charge anywhere from $6-$25 for this service each time they pump you out. At Mayflower Park, for $250 per month, they provide electric, water, honey wagon service, free WI-FI, nightly campfires, potlucks, lawn bowling, a lovely view right on the Colorado River with trees and some grass, a boat launch, mail service, and wonderful friendly staff. In fact, it is the most sociable park I have ever stayed at and so nicely quiet. There are 2 distinct sides to the park. The B side is where the groups and partyers stay. The C side is the quiet side. Everyone tends to wander from side to side enjoying both. Blythe is pretty good too with all my favorite fast food joints, Albertsons for groceries, Kmart, Sizzlers, easy freeway access to the I10, and lots of geocaches. Wal-Mart is 50 miles away in Parker, AZ but the drive up 95 through the desert is both beautiful and fun. The local hospital was giving out free flu shots when I arrived which I certainly didn’t miss. Their local parade and bus tour of the Christmas lights were fun. 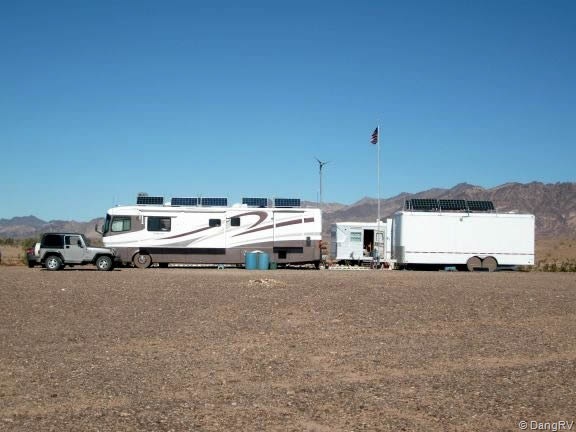 If you are into boondocking, we discovered 2 nice BLM areas with dump stations nearby and many campers who have been boondocking for years there are more than willing to show you the ropes. In Blythe, free water is provided at Miller Park off Lovekin Blvd, to fill up your water barrels. There is also a free dump station in town off Broadway. The Arizona state line is about 5 miles away and Quartzsite is only 22 miles away. The Flying J just across the line in Arizona is a great place to get propane and gas though there is always a line for gas for some reason. 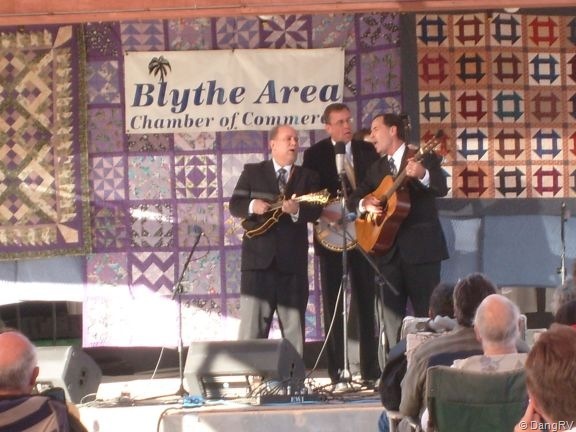 While in Blythe, I went to my first Bluegrass Festival. I enjoyed the music very much. Lots of talent was displayed on multiple stages. The food was just OK but hey at least I did not have to cook! We also walked around a bit to gather info on boondocking there at the festival. Solar panels and Honda EU2000 portable generators were there in abundance. We saw 1 wind turbine as well. 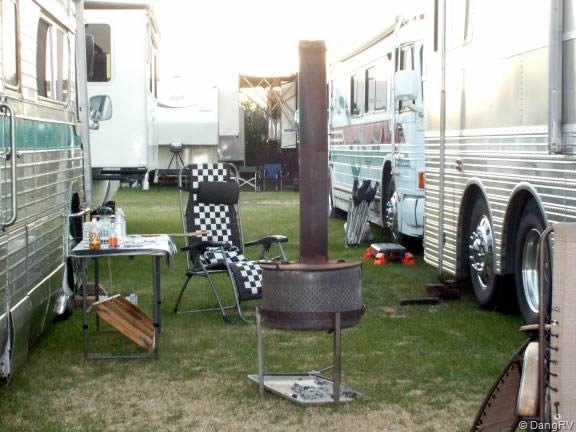 I got a kick out of the fire pits with smokestack toppers, musical instruments being played everywhere in the camping area, and rigs camping in pavilions. 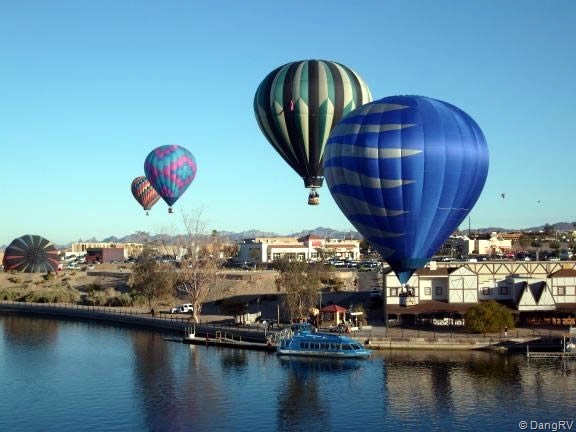 Another weekend, we ran up to Lake Havasu for the Balloon Festival. The drive over there was absolutely gorgeous. I definitely want to camp around Havasu in the future and they have BLM camping right at the city limits. 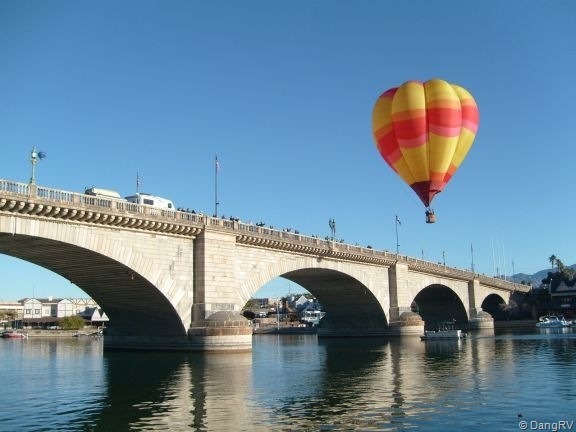 We got there just as squads of hot air balloons were touching their baskets down in the water and flying low over London Bridge. 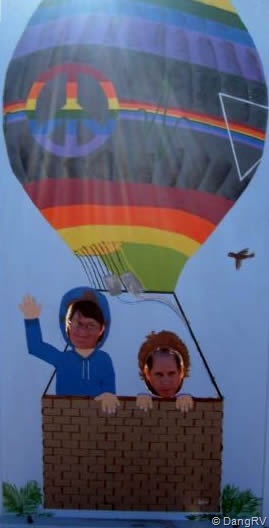 Over at the festival, they had booths selling miscellaneous stuff, great food, freebies from Kmart, RC plane models flying, a parachuting demonstration, and hot air balloon rides. 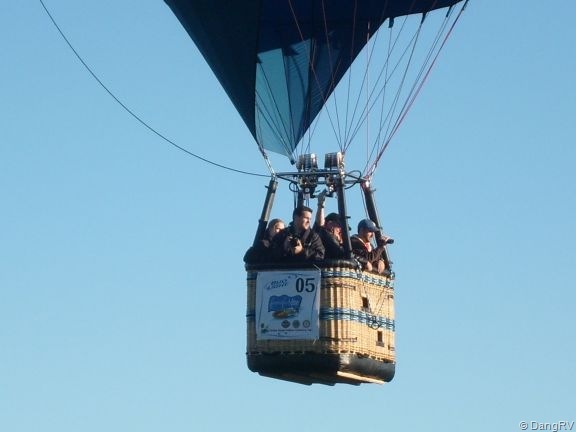 The tethered 20 feet in the air rides were pretty cheap but the untethered rides are around $185! Whoa! I got in some geocaching while in the area. I made a point of caching on 1-1-11 and 1-11-11 for fun. Lots of geocaches. I found the remains of one that had not been found in at least 6 months, put it back together in a new plastic bag, and re-hid it. There has been a steady stream of geocachers visiting it ever since. I hope the cache owner got my message and got it back into a sturdier container. Christmas in the RV park was very nice. They had an excellent potluck and we decorated my trailer up inside and out. I took the tour of the city Christmas lights. 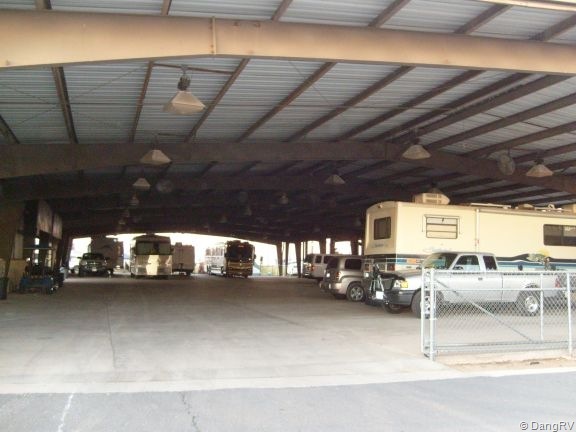 We went into Quartzsite many times from Blythe which proved to be plenty close enough and a good basecamp. Staying here has also provided some good downtime to make repairs and upgrades. I have even more antennas on my roof now for WI-FI, 3G Broadband over my air card, and satellite TV. We got lots of questions on them and I swear we are starting to look like a military or spy network. I also finally purchased a pair of X-Chock wheel locks from Amazon which had the best price and free shipping. 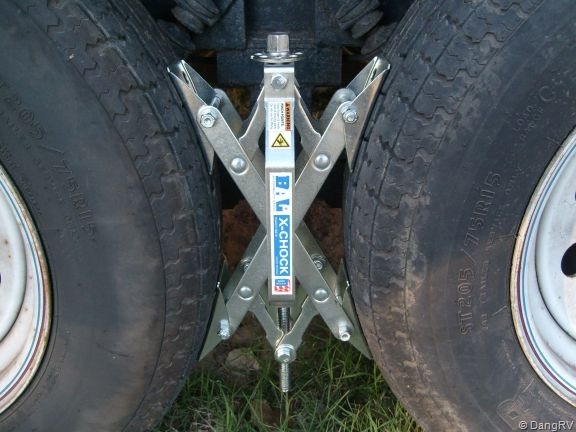 They have made a huge difference and stopped the rocking and rolling every time anyone walks about in the trailer. No more indoor ocean surfing for us. YAY! I had my cracked truck windshield replaced while here, right at my campsite. Our neighbors had Auto Glass Shop come out from Phoenix one day to replace their windshield and we pounced on the young man before he left for the phone number (480-385-3257) to call. We teased the poor neighbors all day about their new windshield possibly going missing in the night since it happened to be the exact same one my SUV uses. Snicker. Mine was replaced within a few days and I can definitely recommend them. I had called around to check prices and theirs was by far the best with excellent work quality. It was so nice having a perfectly clear windshield for a few days before the bugs and birds dirtied it. Dang bugs and birds. There has been one issue at the park recently with a particularly loud and rude person who apparently has been coming here for years and annoying everyone. When he isn’t talking at the top of his voice all over the park or cussing out anyone who dares to tell him to shut up, he is watering the soft dirt road to keep the dust down for himself which leaves the rest of us tracking mud into our rigs constantly. We had to move my trailer to get farther away from him and back to quiet. Police were called finally and so far he has been quieter. Crossing our fingers. For more boondocking pics click here. 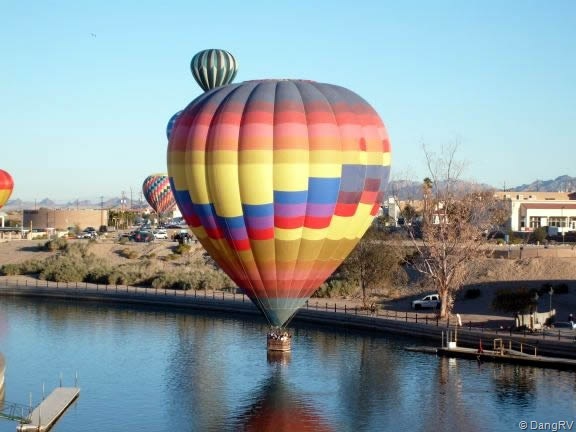 For more Havasu Balloon Festival pics click here.